The textile has just joined the system of selective collection door to door (PAP) Vilablareix (Girona). 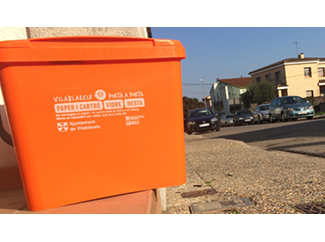 The management of this initiative, which has received a grant from the Waste Agency of Catalonia, deals Humana. 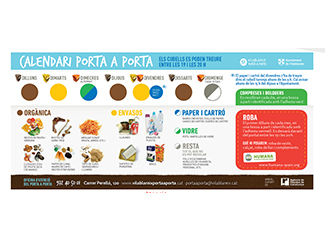 The PAP was implemented in the municipality initially in five fractions (paper and cardboard, packaging, glass, organic and others). 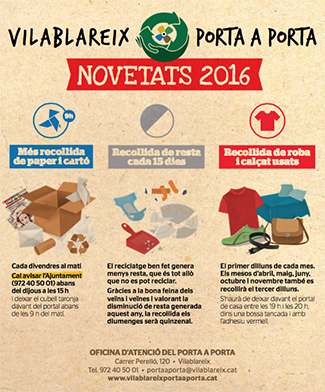 Aware of their advantages (besides having a cleaner city, allows to decrease the rate of garbage in the city), the City Council and the Foundation Vilablareix agreed that the used clothing and footwear should be included in the PAP. Thus, it is expected that the average per capita textile collection is much higher than any other Catalan city and contribute to the reuse or recycling of clothing that is no longer used extending its life. Since October 2013, the date on which it started the PaP, the level of gross selective collection increased from 38% to 86%, according to Hall. The very Waste Agency of Catalonia awarded Vilablareix because in 2014 he became the Catalan town of between 501 and 5,000 that had generated less per fraction rest, namely, 36.52 kg per capita per year. The collection system is by cubes; each has a chip and a code associated with each housing, which provides data dump frequency, participation, incidents, etc. The neighbors must deposit the clothing, footwear, household textiles and accessories in a closed and labeled with a red sticker bag provided by the City Council. The shift of used clothing and footwear is the first Monday of each month; in high season (April, May, June, October and November) is collected an extra day a week. It is necessary that residents used to leave their clothes in front of the goal between seven and eight o'clock. Humana is responsible for pick and carry out their management to obtain the highest level of achievement. The City Council has allocated among the inhabitants a calendar with information of all fractions and a magnet for the refrigerator in order to not forget the days of collection. The neighbors are proud of the PAP are truly responsible for the selective collection reaches 86% and the rest fraction (which ends up in the landfill unable to be valued) has risen from 61% of municipal waste to 15 %. The Foundation works with its partners in the implementation of more effective and simple solutions for selective collection of textiles for citizens to have greater opportunities to give a second life to the clothes and shoes they no longer need.